The new Generation Charm collection by Thomas Sabo is a re-invention of their iconic Charm Club. It features best-selling charms re-imagined in larger designs, with a vintage aesthetic. 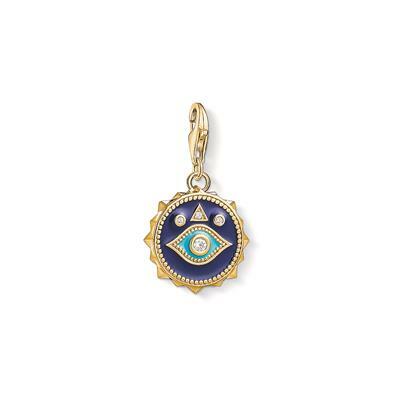 This colourful charm is made from Gold Plated Sterling Silver with Enamel colouring and Cubic Zirconia accents. The Nazar's Eye is a traditional protective symbol in Middle Eastern traditions.